Henna Tattoos or Jagua Tattoos? Which temporary tattoo is better? Have you ever wanted henna tattoos? I always wanted to try one. When I was recently on my Key West Vacation with my parents I wanted to get a henna tattoo but ultimately decided upon a jagua tattoo instead. I have no regrets! Jagua tattoos, like henna tattoos, are temporary. I was told that my jagua tattoo would last up to 4 weeks. The biggest reason I wanted to get the jagua tattoo instead of a henna tattoo is because jagua is a blue-black color instead of a rusty brown. It looks great with my skintone. My parents got jagua tattoos with me too, which was pretty cool! I’m told the process for jagua tattoos is very similar to henna tattoos. 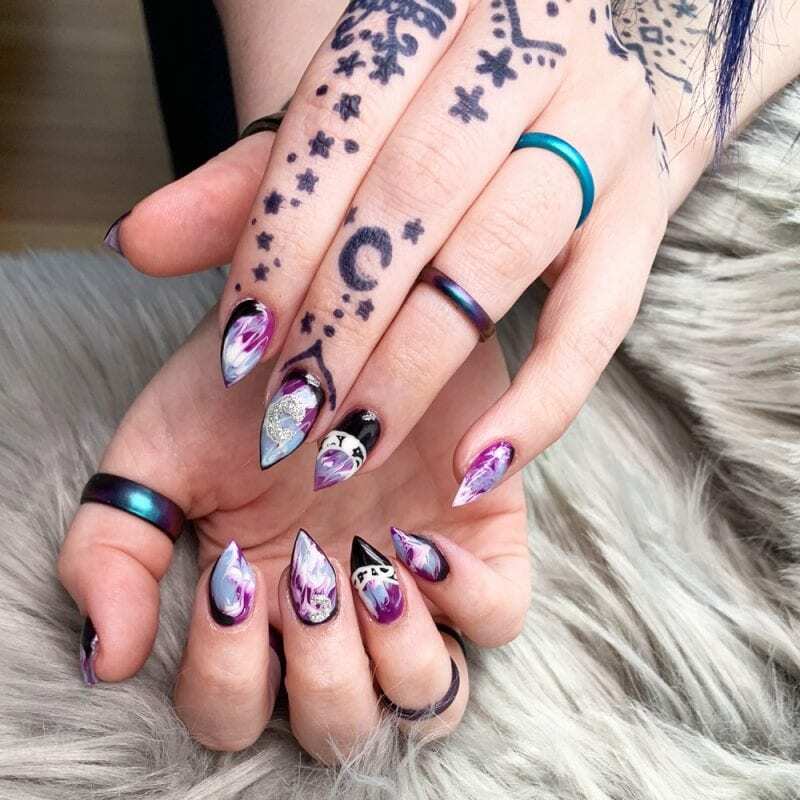 An artist puts a purple stencil onto your skin, then colors it in with henna tattoo ink or jagua tattoo ink. It needs to dry fully and absorb into your skin without being smudged. You must let it dry for 2 hours. After two hours, you need to fully wash the ink off with soap and water. It’s very ghostly pale at first, but then darkens over the next 6 to 24 hours. Here’s how mine looked 48 hours after application. Love my nails? Be sure to check out my Kiara Sky Gel Nail Polish mani! 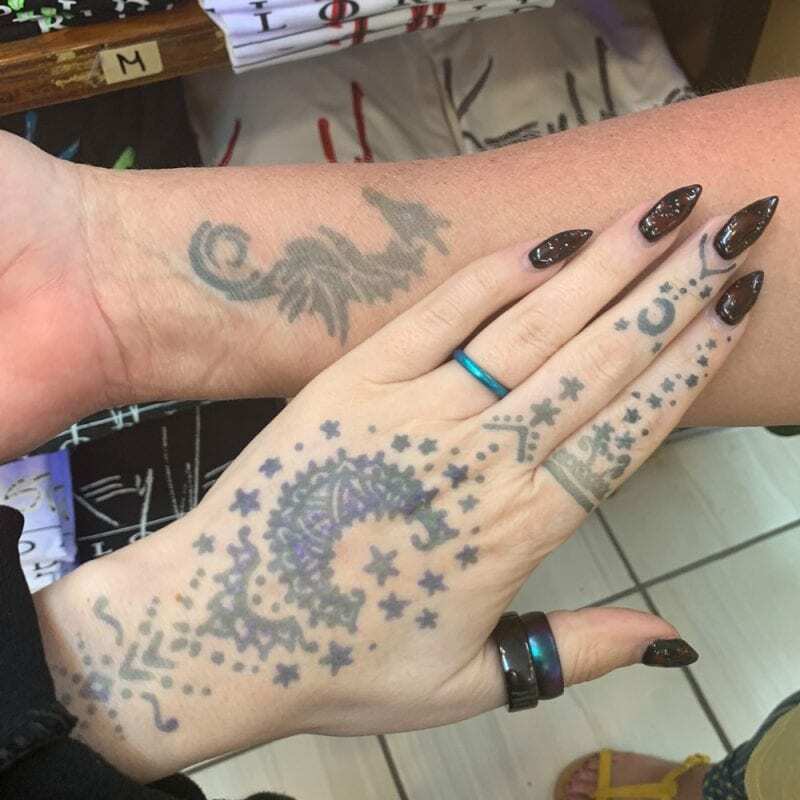 In Florida there is no lack of places to get temporary henna tattoos or jagua tattoos. However, you can also get really cool kits online. The Earth Henna Jagua Tattoos Kit on Amazon is an excellent choice. You can also find henna tattoos kits too. 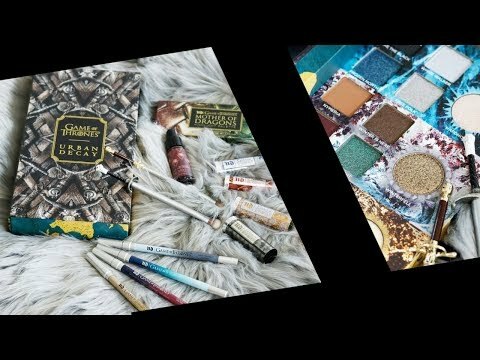 If you want to learn the history behind Mehndi, henna tattoos, the book Teach Yourself Henna Tattoo is a good place to start. 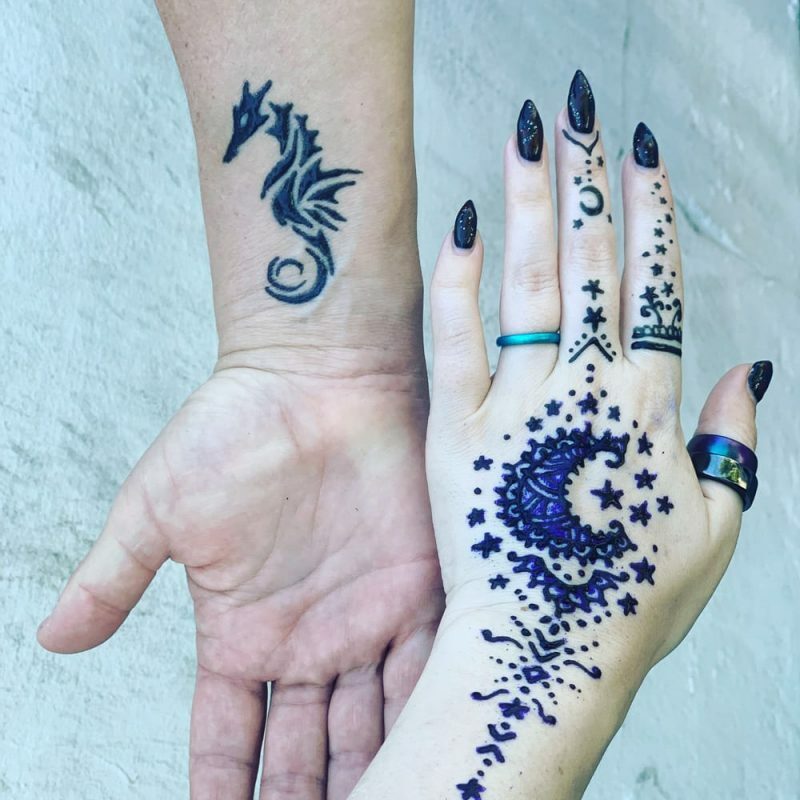 Have you ever had henna tattoos or jagua tattoos? How long did they last for you? What shampoos and conditioners are in your shower right now?